Jared Dopp is an American born Brazilian jiu jitsu black belt under Rafael Lovato Junior, who has been regarded as one of the top athletes in the sport since the 2013 edition of the ADCC, where he beat the former champion Vinny Magalhaes and other seasoned competitors while being “just” a purple belt, (placing 4th overall) in the world’s most prestigious submission grappling tournament. As a brown belt Dopp improved on his previous ADCC mark, reaching a silver medal (2015) while also winning the World No-Gi and Pan American Championship. Dopp’s achievements are even more remarkable considering he reached all of them while training 2-3x per week while maintaining a position as a chemical engineer. Jared Dopp was born on April 3, 1989 in Tahlequah, Oklahoma – USA growing up in Commerce, also in OK. Throughout his formation years Dopp played a variety of sports and martial arts, including karate (where Dopp was awarded a black belt under instructor Scotty Baker) and (American) football, a game he played all the way to Midwestern State University, making a career as a linebacker. 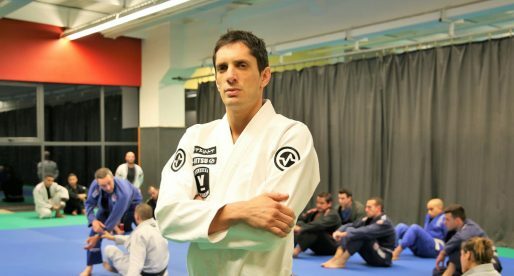 Around 2005 Jared was introduced to jiu jitsu, mainly the self defence aspect of the martial art, in a class led by his cousin Mike (Mullin), who taught to the local police. These were more informal lessons without the use of the gi and with no sports orientation. Jared only re-started jiu-jitsu again in 2008, this time dabbing his toes into the sporting side of the martial art. 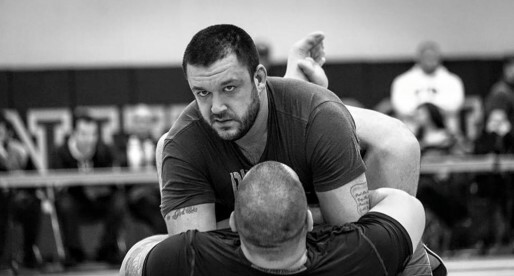 After a few months training Dopp decided to test for his blue belt, doing so at a Renato Tavares seminar in Norman, OK. He passed the test but moved to Wichita Falls, TX shortly after playing 2 more years football (college). After he finished his football career Jared picked up on mixed martial arts (MMA) at a few different local gyms, where he met Griffin Phillips (2011) of Texoma BJJ, an affiliate gym of Rafael Lovato Junior. Griffin was the first coach to work with Jared on Brazilian jiu jitsu and the sporting aspect of the martial art, instilling in Jared the desire to compete. It was this drive that led Jared to start training with at Lovato’s main academy with Rafael himself on May 2012. Throughout his jiu jitsu career as a colored belt, Jared trained 2-3 times per week, exception made to 2013 when Dopp upped his training to 5 times a week with an additional 4-5 strength and conditioning sessions per week. The hard work paid off with Jared reaching the semi-finals of the ADCC, an unthinkable feat for a purple belt competing against the elite of the sport. In 2014 Jared started his chemical engineering degree, returning to his twice a week routine. 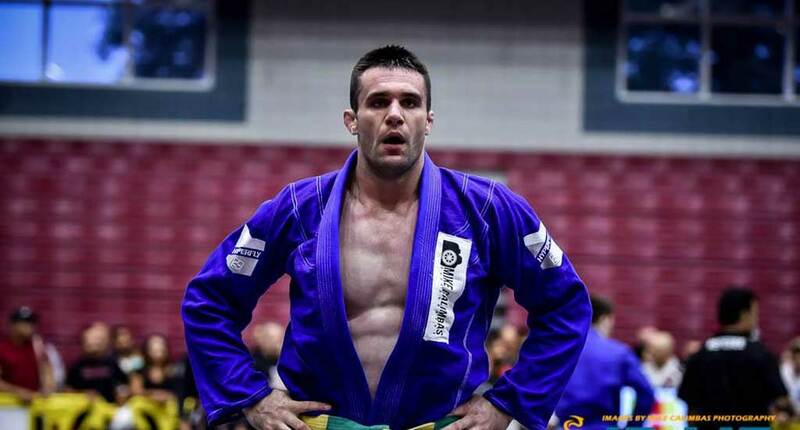 His competitive consistency was not affected by this as Dopp still managed to medal at the world’s top jiu jitsu events with and without the gi as a brown belt. After medals at the “Worlds” (2014), Pan American (2015) and World No-Gi (2015) as well as a silver medal at the 2015 ADCC championships, Jared Dopp was awarded his black belt by Rafael Lovato Junior on the 6th of October 2015. The individual’s grappling record feature available on BJJ Heroes relates to matches in the adult black belt divisions. However, given the extraordinary success of Jared’s ADCC campaigns as a lower belt, and considering that the Abu Dhabi Combat Club is well recognized as the prime event in submission grappling, we have decided to add Dopp’s purple (2013) and brown belt (2015) runs to his record.